Khloe Guy had her first seizure at just two days old, a terrifying experience for her mother, Tamanda Richard. The nightmare only worsened as Khloe’s seizures became daily and, by the time she was three months old, she was having up to 100 an hour. It was then that doctors in her hometown of Jackson, Mississippi, finally diagnosed her as one of just 1,000 people in the US with Aicardi syndrome, a rare form of epilepsy. 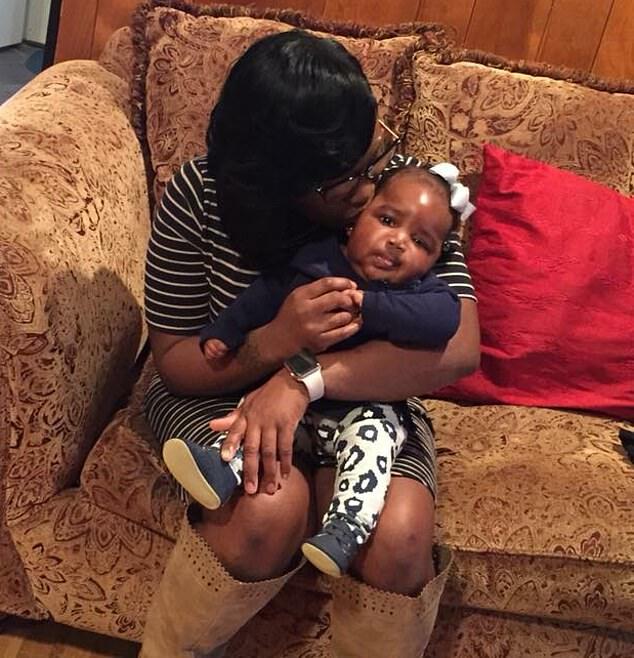 They told Richard, 28, that her daughter may never walk or speak, reported the Clarion Ledger. Richard spent the first year of Khloe’s life managing eight different seizure medications and taking her to the emergency room almost every week. 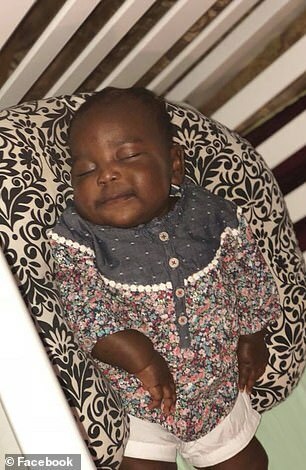 Then, doctors told Richard they believed a radical procedure that involved removing half of Khloe’s brain could help get her seizures under control. Richard told the Clarion Ledger that when she was four months pregnant, she had a sonogram that revealed a cyst on Khloe’s brain. However, she was told that it would likely go away. No other complications occurred before Richard gave birth in April 2017. 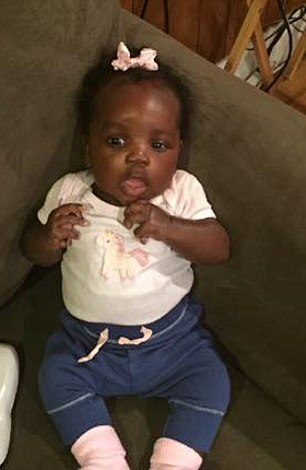 When she was two days old, Khloe suffered her first seizure. By three months old, she was having violent seizures, as many as 100 an hour. Aicardi syndrome is when tissue connecting the left and right halves of the brain is absent or undeveloped. Seizures usually begin in infancy as spasms and tend to progress to recurrent seizures (epilepsy). The cause is unknown but, because it occurs almost exclusively in females, it’s believed to be due to a gene on the X chromosome. The severity of Aicardi syndrome varies. Some people with this disorder have very severe epilepsy and may not survive past childhood. Less severely affected individuals may live into adulthood with milder signs and symptoms. There are believed to be 1,000 people in the US with Aicardi syndrome and 4,000 people worldwide. Treatment typically involves medication to suppress the seizures. The baby wasn’t eating or sleeping and ‘was no longer in control’, Richard told the newspaper. During that period, Richard bought Khloe several times to the emergency room at the University of Mississippi Medical Center, but doctors couldn’t figure out what was wrong. Finally, in July 2017, after a week of tests, Khloe was diagnosed with Aicardi syndrome. It’s an extremely rare genetic disorder that occurs when the structure that connects the right half of the brain with the left half is missing or does not develop normally. Doctors don’t know what causes the disorder but, because it occurs almost exclusively in females, it’s believed to be due to a gene on the X chromosome. Symptoms typically include poorly developed eyes, a flat nose, asymmetry between the two sides of the brain and developmental delays. Seizures begin usually as spasms during before progressing to recurrent seizures. According to the National Institutes of Health, there are an estimated 4,000 sufferers worldwide and about 1,000 documented cases in the US. Doctors told Richard that there was a possibility her daughter would never walk or talk. ‘She’s supposed to be like a vegetable,’ Richard told the Clarion Ledger. 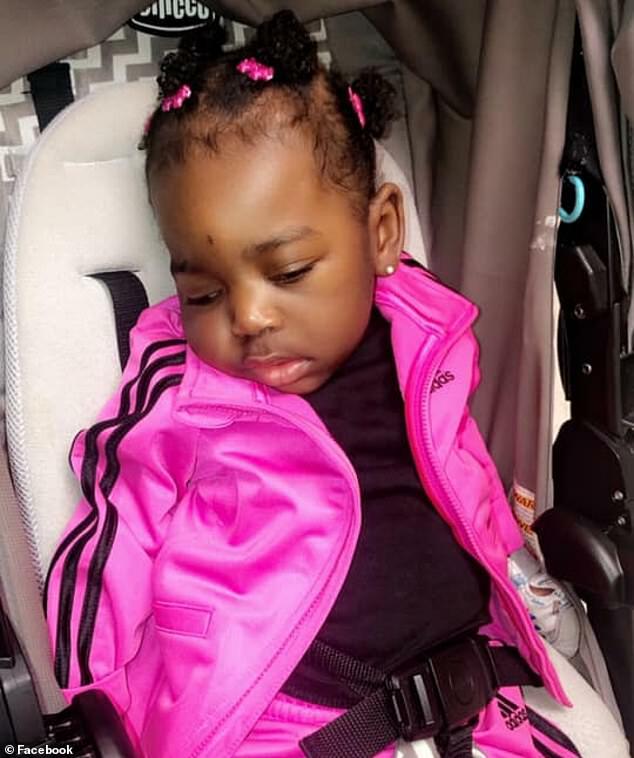 Right up until Khloe’s first birthday, the uncontrollable seizures continued and Richard had to give her daughter eight different anticonvulsants. In April 2018, doctors talked to Richard about possibly performing a hemispherectomy, a surgical procedure which removes part or all of an affected side of the brain. One of Khloe’s physicians, Dr John Bradford Ingram, explained that the right side of her brain was healthy, but the left side was seizing all of the time. ‘She had one half of her brain that was catastrophically malformed, meaning it was not formed in a way where it was making normal signals,’ he told the Clarion Ledger. Two days after her first birthday, Khloe underwent the hemispherectomy. She hasn’t seized since. Khloe has made progress since the surgery. Richard said she doesn’t know if her daughter will ever walk or talk, but she can babble and can roll onto her right side. 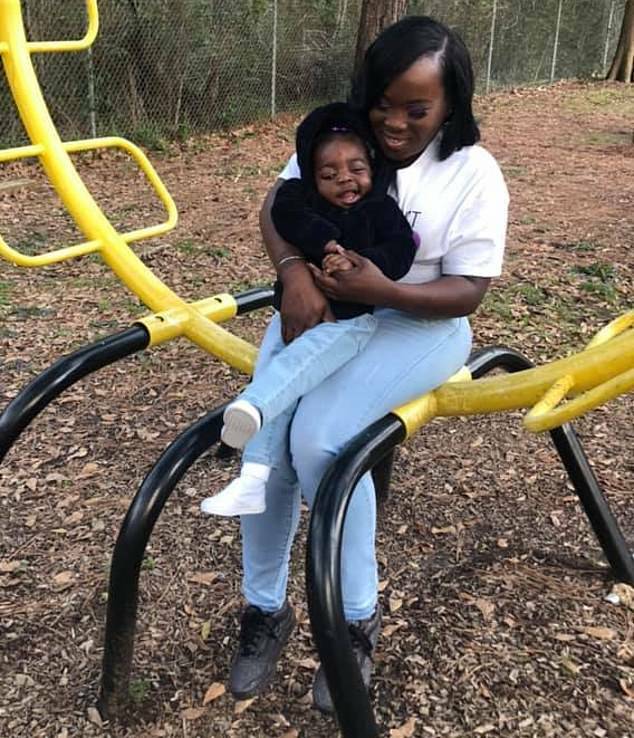 Richard told the Clarion Ledger that she hopes to one day go back to college and become a nurse and hopes Khloe will be able to do the same. ‘I hope she grows out of this. I want her to walk, talk, but if not, that’s okay,’ she said. Richard has started a Facebook fundraiser to help cover the costs of Khloe’s medical bills. So far, more than $200 has been raised out of a $10,000 goal.